Smart meter are digital electronic devices evolved from traditional analog meters, it is used to measure electricity consumption for residential, commercial and industrial purpose. They record the data through two way communications from utility and the consumer. These smart meters enables the consumers to reduce their meter reading costs thereby reducing electricity bills by improving energy savings. Smart meter provide better real time demand-supply equilibrium which improves electricity supply by managing need for more demand. 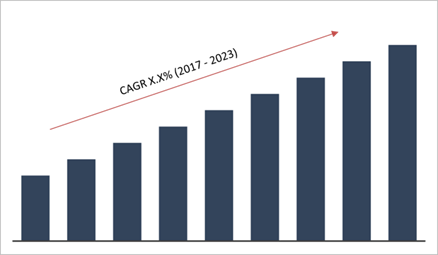 Global smart meter market can be segmented on the basis of its different types as smart electric meter, smart water meter and smart gas meter. Furthermore, on the basis of different uses global smart meter market can be segmented as commercial & industrial and residential. Principal driver in the global smart meter market are government regulations. Regions such as Asia-Pacific and Europe will experience tremendous growth due to these mandates. For example, the UK government has set target to replace 53 million electricity and gas meters by 2020, this initiative will boost up the market over the forecast period. Smart meter also helps to balance demand supply and increases distribution efficiency and helps towards conserving energy due to which global smart meter market is pacing up. According to Europa, EU member states have announced to roll-out around 200 million smart meters for electricity and 45 million smart meters for gas by 2021. Therefore, 70% of European consumers are expected to have smart meters by 2020. China has included installation of smart meters in its 5 year nationwide plan in order to upgrade grid infrastructure. Furthermore, deployment of smart meters in Japan is expected to reach new levels as Tokyo Electric Power Co (TEPCO) announced to install 27 million smart meters by 2021. Additionally, there are undergoing pilot projects in India that will set stage for deployment of smart meters in near future. Global market for smart meter is shifting towards European and Asia-Pacific regions. On the other hand, the US market has levelled off however, installations are taking place. But the market activities in Western Europe are pacing up, utilities is France, United Kingdom and Spain has upcoming projects and targets by the end of forecast period. And in Eastern Europe utilities have accelerated investments and stepped up plans for deployment of smart meters by 2021. The report provides deep insights on demand forecasts, market trends and micro and macro indicators. In addition, this report provides insights on the factors that are driving and restraining the global smart meter market. Moreover, IGR-Growth Matrix analysis given in the report brings an insight on the investment areas that existing or new market players can consider. The report provides insights into the market using analytical tools such as Porter’s five forces analysis and DRO analysis of smart meter market. Moreover, the study highlights current market trends and provides forecast from 2017 to 2023. We also have highlighted future trends in the smart meter market that will impact the demand during the forecast period. Moreover, the competitive analysis given in each regional market brings an insight on the market share of the leading players. Additionally, the analysis highlights rise and fall in the market shares of the key players in the market. This report will help manufacturers, suppliers and distributors of the smart meter market to understand the present and future trends in this market and formulate their strategies accordingly.